The Algarve, Europe’s leading golf destination, is celebrating after being awarded the prestigious title of ‘Best Value Golf Destination’ in the 2015 Today’s Golfer Travel Awards. 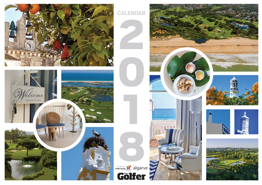 The award, which is voted for by the readers of Today’s Golfer magazine, returns to the Algarve for the third time in four years, following previous wins in 2012 and 2013. The picturesque region, which contains 41 courses and provides more than a million rounds to overseas golf visitors each year, saw off competition from across Europe to scoop the accolade. A spokesperson for ATA said: “We are absolutely delighted to have been recognised once again as Europe’s best value golf destination, particularly as the Today’s Golfer awards are voted for exclusively by golfers. “To win the ‘Best Value’ prize also really demonstrates how highly UK golfers rate the Algarve – not only for the quality of our destination but for the great value they get whenever they visit. “In 2015 visiting UK golfers will receive even greater value as the British Pound has strengthened almost 10% against the Euro in the past 12 months so budgets will go that bit further. Kevin Brown, travel editor at Today’s Golfer, said: “The annual TG Travel Awards – the ‘Oscars of the golf travel industry’ – have proved a huge hit since being introduced in 2011. “They are awards which provide a totally objective view of the best hotels, courses and regions, because it is the paying public, our readers, who decide where the titles go. Click here to plan your trip with ANA-Faro Airport regular flight schedule map.